The Morey Mercantile Loft project is located at 16th & Wynkoop Streets just southeast of Denver's Union Station. 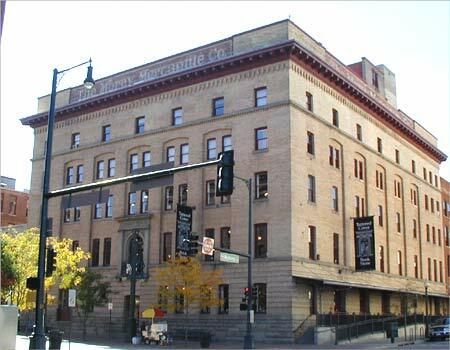 Near the center of historic Lower Downtown Denver (LoDo), the lofts are within easy walking distance of stadiums, restaurants, pubs, museums, and cultural performances. The project consists of three buildings built between 1888 and 1896, and is located in a registered historic district and certified by the Secretary of the Interior as being of historic significance. Lower floors of the loft project house retail including the Tattered Cover bookstore, Dixons restaurant and Wines of Wynkoop. Upper floors provide 93 affordable and market-rate residential loft rental units. The Morey Mercantile Loft project is one of LoDo's historic brick buildings that lend themselves well to residential renovation with stunning architectural features including exposed heavy timber beams, high ceilings, large windows, interior brick walls and hardwood floors. For more information on Denver Lofts for sale, contact 303-988-4200 .